← The Corbeils, Jim and Marlene Corbeil Lose a Daughter. May She Rest In Peace. Some of us as kids collected baseball cards, my wife collected ‘Giraffe Statutes.’ We know a friend who collected ‘Miniature Elephants.’ BUT OVER 1500 DONALD DUCKS! Pam and I visited TERRI SMITHS (FSA State Ladies Masters Champion) breathtaking collection. They would make Walt Disney jealous. AND GET THIS: She has 10 unopened boxes stored because there is no more room presently to display them! 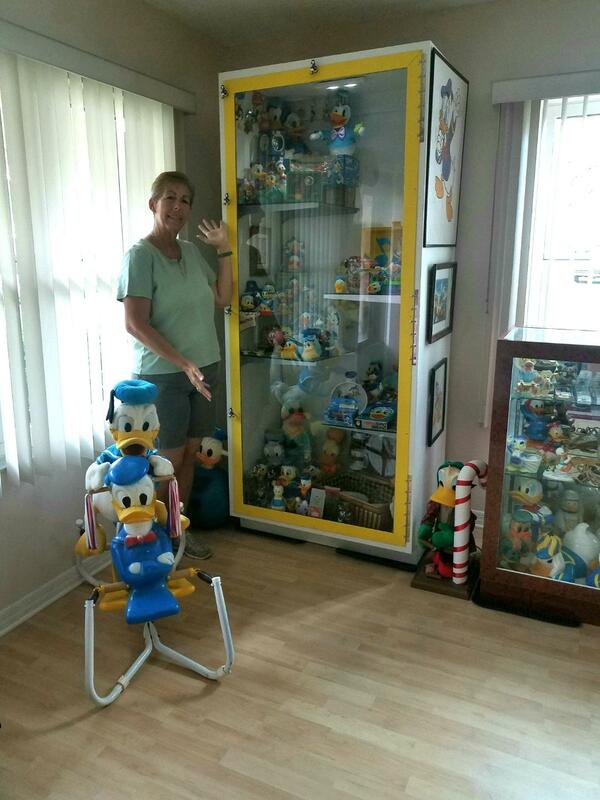 Terri started collecting when she was about 14years old. Collection from many countries around the world. 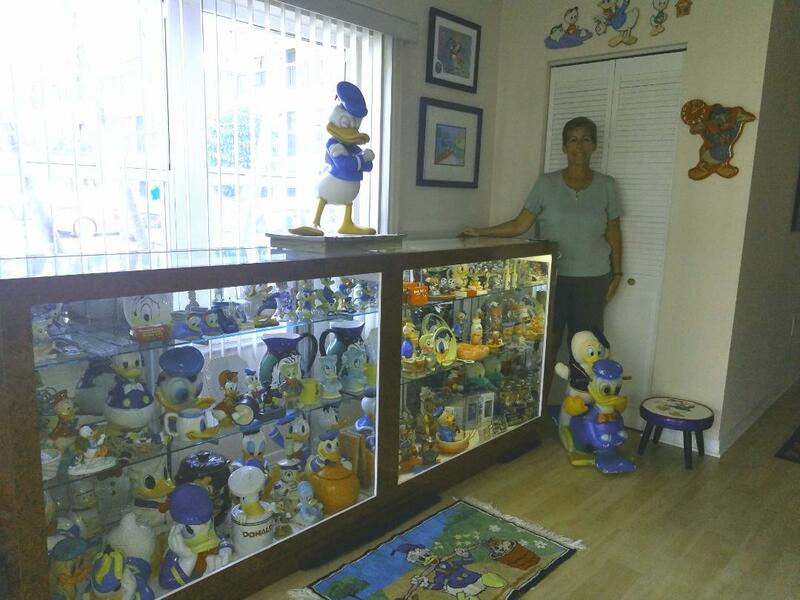 Her collection goes back to Donald Ducks first appearance in 1934 to the present. 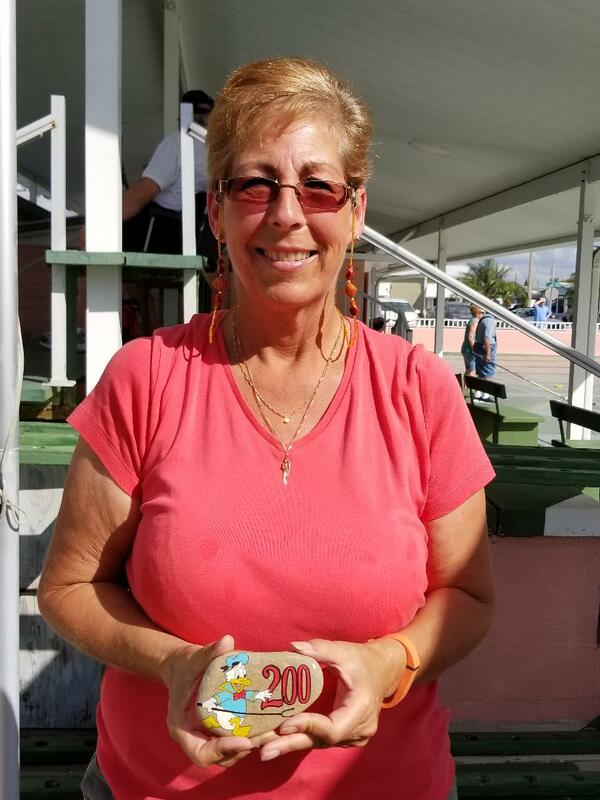 It all started with a little Donald Duck change purse she got from a friend at her 12th Birthday party. 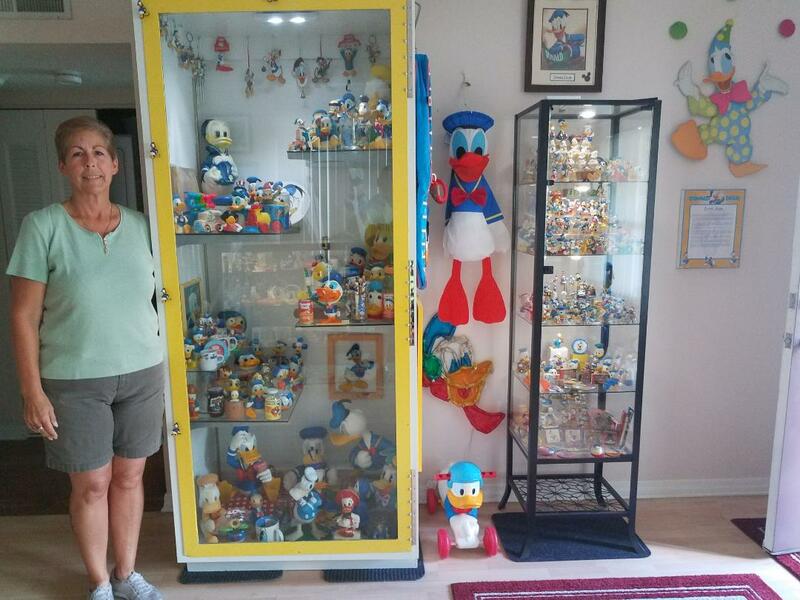 Terri’s collection is ONLY of Donald Duck as Terri loves him cause he is always slighted and is like Disney’s step child. That makes finding just him, harder to find than most Disney Characters. Such a nice collection Terri.